1) Dusk—Every day the tidal rhythm celebrates a communion table awash with a bewitching verdant clime of mist and flora and lingering light. Late afternoon offers up the sacrament of a dry aperitif in anticipation of an evening meal at the hand-hewn oak altar atop our sanctuary nestled among the foothills of the Appalachians. It’s the settling of the day, everything quiets down: the birds, cicadas, frogs, all take an afternoon siesta to gear up for the evening’s party. A surreal atmosphere, a raucous quiet, pervades Kalien. A happy sadness. 2) Forests—These primordial mountains backwoods are some of the oldest on earth. They are mysterious, life-filled, and healthy. Like a giant oxygen bar, the trees produce the pure refreshing air and store carbon dioxide and they have done it day after day, year after year. A tale as old as time. A mature leafy tree produces as much oxygen in a season as 10 people inhale in a year. One acre of trees annually consumes the amount of carbon dioxide equivalent to that produced by driving an average car for 26,000 miles. At Kalien there are tens of thousands of trees—enough life for hundreds of thousands of people. No wonder her inhabitants are always giddy here. 3) The Deer—Nuisances, not here at Kalien. 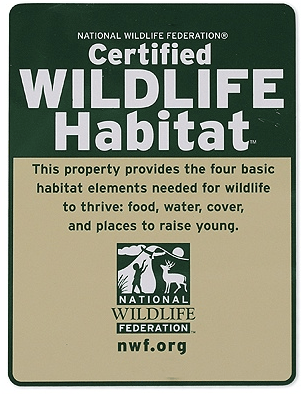 We are a certified wildlife habitat. Watching these soft fragile animals adorned in raw umber and white as they frolic and extend in arabesque-like leaps joined by their spotted impersonators—why, it exceeds the wonder of Tchaikovsky’s magnum opus. 4) The Sky—Hues of deep blue and violet, a gradient. Layers of azure and a lazy scattering of lighter cerulean. To be precise, the color here is a French sky blue. On a color wheel (hex value #77B5FE) a shade of cyan that is 53% saturated and 100% bright. Journey to Kalien and experience it for real. Simply put, the blues are bluer here. Vivid, heightened, radiant, glorious, luminosity. An ever-changing palette of lustrous iridescence. At days end the bleu-ciel transforms into a vast expanse of black velvet—a night dark that blankets the soul. 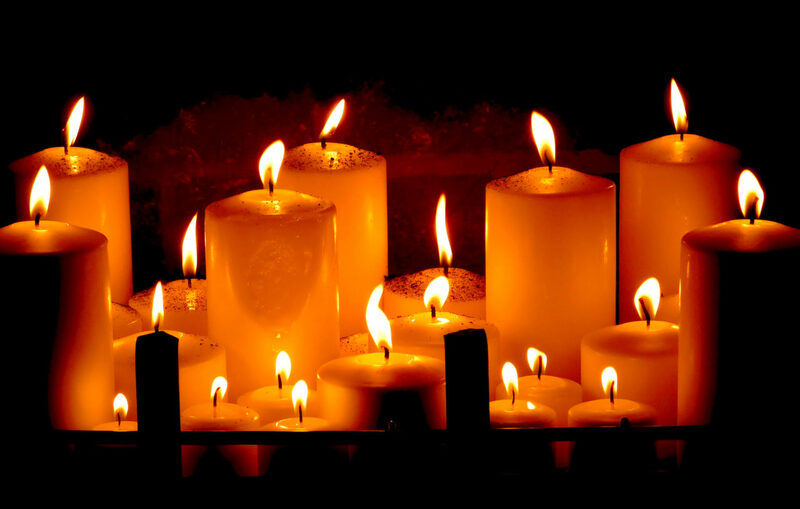 In the words of San Juan de la Cruz, “An obscure night, fevered with love’s anxiety…where all things quiet be.” Hovering clouds tinged with unknowing. But then, when all seems sadness, a panoply of incandescent stars materialize amongst the canvas of darkness. Happily, hopefully, flickering into existence now and again, and gradually evolving into a million smoldering electric oscillations foiling the resistance of the somber dirge—as the melody, the harmony, the symphony, the music of the night unfolds. 5) The Sounds—Listen, do you hear: ”Who cooks for y-o-u? Who cooks for yo—u?” No, that isn’t the chef at Kalien yelling at you through the woods: It’s a beautiful Barred Owl, just begging for some well-deserved appreciation. This call consists of two rhythmic phrases, with the last syllable drawn out the longest. The melodious call of the Indigo Blue Bunting, the scream followed by ( if you are lucky enough to hear it) a whoosh, of the red-tailed hawk. Some 200 varieties of game birds and songbirds thrive here. The exceptionally loud song of the cicada—rapidly vibrating drumlike tymbals—a cacophony of home. Two of the three great elemental sounds in nature occur here at Kalien: the sound of rain and the sound of wind in a primeval wood. The sounds of Sabbath. 6) Wind—The gusts sway and flatten the trees as if the Smoke Monster from the television show LOST is making a swirling and bending path through the forest. In the spring it spreads the fragrance of flowers and honeysuckle, on a sweltering summer day it brings a delicious shiver of coolness and blows through the jasmine of your mind, on a crisp autumn day the wind dances and gently wafts all the many colored leaves away, and the trees stand naked and unashamed until the breeze whips the snow and clothes them anew in angelic white. It feels fresh on the face, blows through one’s hair and makes us feel fine. And if you quieten and listen closely, the wind will speak. 7) Rain—As I’m writing these words, the beautiful sky-blue heavens begin to darken into dappled shades of grey. Large pillows of clouds roll in from the northwest, blotting out the heat of the summer sun. I’m splattered with huge chilly raindrops as I make the steep climb through the meadow to The Hawk’s Nest. Laughing like a child, I dash into the cabin, the pitter-patter of raindrops hitting the tin roof sounds like the happy cadence of an autumn drumline. The interior of the cabin is subdued, dim, and cozy like crawling under grandmother’s quilt. I’m writing as it happens, droplets of moisture drip from the leaves and a swirling mist envelops the mountains like a surrealistic painter longing to resolve the contradictions of dream and reality. The rainfall grows more intense. A wall of rain moves through the black walnut outside my windows—the drops drumming against the glass. So much rain is falling that the sound blurs into white noise. It reminds me of the nighttime sound effects on my iPhone. My eyes get heavy. Eventually, the cacophony lessens and the drops fade into a rocking chair harmony, a lullaby. The sun slips out again now, even as thunder echoes through the hollow, casting rainbow-like prisms of light across the meadow and woods around me. Steam rises slowly from the meadow and the ridges, floating up eerily and drifting mist-like towards the medley of grey and lily-white clouds. Ah, one can find many reflective ruminations when the rain falls here. 9) The Terroir—(sounds like “tare WAHr”). The dirt. There are four essential traits of Terroir. The climate, the soil, the terrain, and the tradition. The dirt of the Appalachians feels and smells like home to me. If humans are like wines—both living organisms with striking similarities—then terroir affects our makeup, our composition, our essentials, our essence. The same vine grown in several different locations will have its own unique characteristics and flavors, based on the terroir. That is why inexpensive food and wine grown side by side in Tuscany taste better than the finest Thomas Keller meal perfectly paired with a priceless French Burgundy. I also think that is why Wendell Berry and my native American ancestors talk so much about being of the land, not just living on it. It’s why the English Burial Service “ashes to ashes” is adapted from the Biblical text, Genesis 3:19 (King James Version): “In the sweat of thy face shalt thou eat bread, till thou return unto the ground; for out of it wast thou taken: for dust thou art, and unto dust shalt thou return.” Terroir is a loosely translated French term meaning “sense of place”. In other words—home. In the final words of my recent memoir I express it this way, “May we realize that home is but an inner compass and a North Star. May we realize that home is but a metaphor for our soul.” Maybe that’s why my psychologist describes me as “earthy”. And its certainly why my ashes will be spread—of, not on—the terroir of the Western ridge of Kalien facing the rising sun. 10) The Mountains—The Appalachians (according to Encyclopedia Britannica) are among the oldest mountains on Earth, born of powerful upheavals within the terrestrial crust and sculpted by the ceaseless action of water upon the surface hundred of millions of years ago. You can literally feel the timelessness here. The mountains are laced with an intricate network of springs, streams, waterfalls, and rivers. Today some of the best and most-extensive broad-leaved deciduous forests in the world flourish here. Hickory, poplar, walnut, sycamore, and at one time the important and—before they were destroyed by blight—plentiful chestnuts. All of these, plus other of the 140 species of trees of Appalachia, are found in our southern mountain region. In April spring lifts her skirts to a profusion of flowering wild azalea, rhododendron, and laurel that is worthy of Monet. In autumn the brilliant colors of the hardwood foliage are reminiscent of Picasso or Matisse. John Muir says it best, “Keep close to Nature’s heart… and break clear away, once in awhile, and climb a mountain or spend a week in the woods. Wash your spirit clean.” These primordial mountains called me home and I’m so glad I listened. Again the words of Muir echo my heart, “Everyone needs places to play in and pray in, where nature may heal and give strength to body and soul. The clearest way into the Universe is through a forest wilderness.” And finally, the words of Vince Gill sum up these ten extraordinary qualities of Kalien. Randy and I hope you can visit us one day! I can’t wait til next April, when at re:Create my colleagues, my tribe, will experience Kalien. Thank you Randy that was breathtaking and revitalizing. God’s best for you and Gina, see you in 2017.